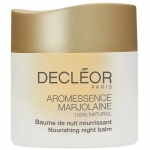 Decleor Aroma Night Balms Iris, Neroli, Rose & Ylang Ylang. Decleor, the expert in Aromatherapy, has applied modern research techniques to Essential Oils. In doing so it has created a new art of beauty, with unique beauty concentrates and skincare technology for a unique, simple and beautiful night time routine. A delicate blend of expertly selected and carefully measured Essential Oils and Plant Oils, the Decleor Aromessence products are 100% pure and 100% natural, preservative-free elixirs. They are so effective you only need a few drops to release their precious, unrivalled benefits. These truly efficient concentrates are at the heart of every one of our skincare programmes. 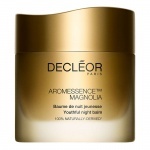 To enhance the effectiveness of your daily skincare products, Decleor has created the Aroma Duo concept. The simple, original and innovative principle of this duo is based on the combination of two tailor-made skincare steps. 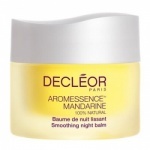 The last step at night is the use of these Decleor Aromessence Night Balms.